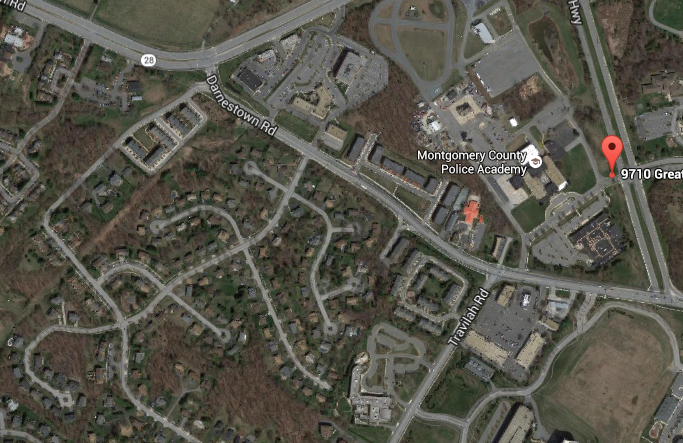 Montgomery County Planning Board commissioners lambasted the County's Department of General Services' plan to acquire the WINX property at 1000 Westmore Avenue in Rockville, before voting to disapprove the acquisition. Their comments followed testimony by Rockville's mayor, residents, and civic leaders, which outlined a questionable process and a lack of transparency by the County. 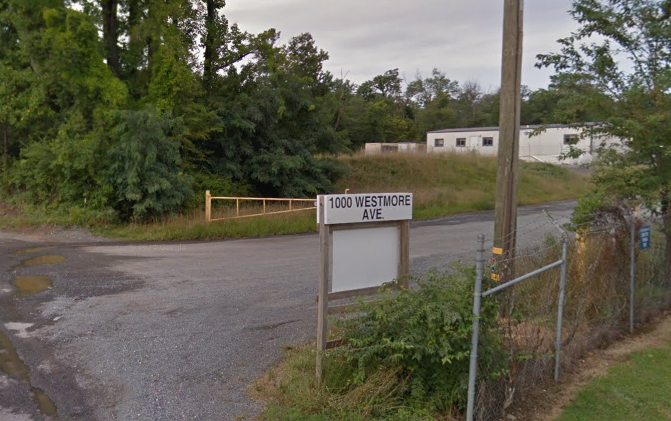 Commissioners were also shocked to learn that the DGS had secretly signed a sales contract with the landowner of 1000 Westmore on April 28, just days before requesting a mandatory referral review by the Board. "It looks like the horse is already out of the barn," Commissioner Norman Dreyfuss said, after reviewing a copy of the executed contract submitted moments earlier by Rockville Mayor Bridget Donnell Newton. DGS, it became apparent, had not even shared the existence of the contract with the Planning Department. 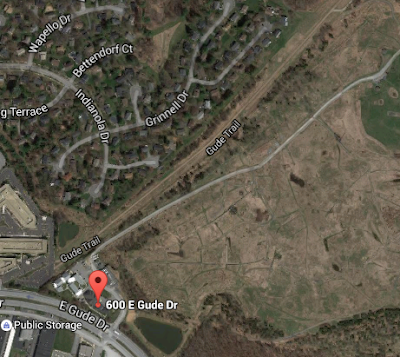 "The County is going to acquire this property, or default on the contract," Dreyfuss said. Under the mandatory referral process, even the disapproval of the Board last night will not prevent the County from moving forward with its acquisition, and expected use as school bus parking for Montgomery County Public Schools. The County is desperately searching for several bus parking sites, so it can sell the existing MCPS bus depot in Shady Grove to a developer in a deal known as the "Smart Growth Initiative." But powerful testimony by Lincoln Park residents showed the politically-treacherous road ahead for County politicians if they decide to press on with the Westmore plan. "As far back as I can remember, we have been struggling to live in peace in Lincoln Park, and every few years we are fighting some monster that is threatening our security," said Fran Hawkins, a 69 year resident. "When they closed historic Lincoln Park High School (Lincoln High School opened in 1935 to serve black students shut out of County high schools by segregation), they parked buses there for decades," she noted of the MCPS Stonestreet Avenue property now home to decaying trailers. Those trailers replaced the buses when the County moved the depot to 16651 Crabbs Branch Way in Shady Grove, she recalled. A resident of Douglas Avenue noted that Lincoln Park is a 125-year-old community, and its streets were not well-planned or wide enough to handle hundreds of large buses passing in and out of the neighborhood. She said the quiet existence of the $12 million DGS contract and the way it has handled the process were "disturbing." She questioned how much DGS Deputy Director Greg Ossont actually knew about the community, after he was quoted in the newspaper as saying the buses would not be using neighborhood streets to reach main roads. In fact, many criticized Ossont for refusing to meet with residents or visit the neighborhood in person, including commissioners. Suzan Pitman, President of the East Rockville Civic Association, said Ossont never even responded to her personal invitation, only sending a mass form email that went to multiple residents yesterday. She questioned how the County could afford to pay $12 million dollars for 10 acres of unimproved property, while having told teachers they wouldn't receive their full raise in FY-2017. Another nearby resident who is a teacher in MCPS, said she is tired of her neighborhood being "the disposal for everything the County doesn't want. It's not fair." "No, we do not want the buses right across from our homes," declared Gladys Lyons of Ashley Avenue, who said she didn't want to "stand on my front porch and look directly over at the buses," and hear horns honking a 4:00 AM when buses start up in the winter. Such an outcome is "a deplorable idea," said her neighbor, Virginia Cooper, whose husband has lived there more than 50 years. The thought of hundreds of school buses turning at the corner there "gives me shivers," Cooper said. A Frederick Avenue resident didn't want to think of that, either. "I can't imagine what it will be like to have buses zipping up and down," she said. She opposes the land acquisition “because of the way it’s been done," with no transparency. She professed to be “skeptical of the County for very good reason,” citing the failure of MCPS to clear its own Stonestreet Avenue sidewalk of snow for 10 days this past winter. Alexandra Destinito, VP of the Lincoln Park Civic Association, said her development is "the best kept secret in town" despite being near the railroad, a Washington Gas facility, "132 ugly rusting trailers" at the MCPS site on Stonestreet, and cut-through traffic from Gude Drive. "Now MCPS would like to add the bus depot," she said. The land swap at Shady Grove is called "smart growth," she said. "Smart for whom?" The solidarity with Lincoln Park and East Rockville was joined by Christina Ginsberg of the Twinbrook Civic Association, who noted her community's "strong opposition" to the Westmore plan. "We have watched in dismay as MCPS has brought forward 3 sites in Rockville," Ginsberg said, also expressing Twinbrook's opposition to depots at Carver or at the Blair Ewing Center on Avery Road. All three sites are also opposed by the Aspen Hill Civic Association, she said, which submitted a letter to the Board indicating Aspen Hill's opposition. Ginsberg criticized County Executive Ike Leggett's suggestion to communities opposing bus depots in their neighborhood to come up with another site themselves. "“I find this tactic extremely offensive,” she said. County officials "spectacularly failed in their jobs. It is not up to the citizens to do their jobs for them," she added. Also supporting Lincoln Park was former Rockville Mayor Larry Giammo, now the President of the West End Citizens Association, and an active opponent of the Carver depot plan. He calculated that if MCPS stuck to its plan to park 100 buses at Carver, it would leave the other 310 to park at Westmore. Giammo invited commissioners to imagine they were residents of Ashley Avenue if that came to pass. "What is the typical morning going to be like for you," Giammo asked. It would begin at 6:00 AM, he said, when all 310 buses would be started up and left to idle. 310 horns would honk, and 310 back-up beepers would sound, as those are two of the required tests run on every bus each morning. Those sounds would start at 4:00 on frigid winter mornings, he said. 310 bus drivers would all arrive by car into the neighborhood, Giammo said. Then 310 buses would begin to roll off the site, and not always via the routes MCPS is telling the public it will use now. "I can pretty much guarantee you most of these buses are going to go to the west and the south," Giammo predicted, "and they’re going to use residential streets to get there." Giammo also criticized the process, calling the manner in which Leggett and his staff have approached the issue "profoundly disappointing," as well as the contract "that just shows up out of nowhere." The timing of that contract in relation to the mandatory referral process "raises serious questions," Newton said. She noted the documents refer to a "land swap. What land is being swapped?" Newton questioned the placement of bus parking 50' away from homes, as well as the challenge of getting WSSC water and sewer service to the site. How can the County justify all of the impacts of moving the depot “simply to free up space to build more homes," she asked. Newton has sought to avoid neighborhoods within the City from being pitted against each other in this contentious process, with multiple sites targeted by the County. The City provided bus transportation last night to assist residents who otherwise would have been unable to travel to speak in Silver Spring. The citywide response, and emotional testimony, clearly swayed commissioners. "It’s really hard not to be extremely troubled by what the residents have brought forth,” said commissioner Amy Presley. She said she was not aware of the history of County abuse of the Lincoln Park neighborhood. Commissioners Marye Wells-Hartley and Natali Fani-Gonzalez strongly rebuked the County for both its proposal, and its lack of transparency, community outreach and respect for the residents. "step up to the plate." 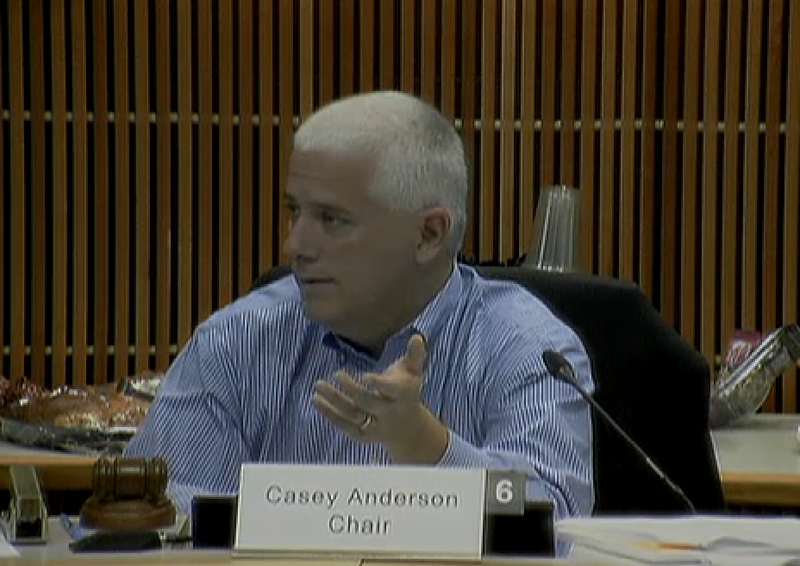 Board chair Casey Anderson took an oddly-different approach, partially defending the widely-thought-to-be indefensible County actions - while saying he was not defending them. “As opposed to everybody walking out of here saying ‘shame on the County,' " he said, residents should be asking themselves what they are going to do to help find a new depot. This was doubly strange, given that Ginsberg had earlier called similar admonishments by Leggett "extremely offensive." For her part, Newton said the City is indeed ready to work with all parties to help find a permanent solution to the bus depot crisis. She mentioned the former Gude Drive landfill, and the soon-to-be-vacated County Public Safety Training Center, as two potential sites. Both sites would almost certainly face opposition from residents in Derwood and North Potomac, respectively. Will the residents of Grinnell Dr.
of horns honking at 6 AM? The ball is now in the County Council's court for its discussion of the bus depot debacle next Tuesday. They voted to fund depots at Carver and Westmore, but have tried to sweep those votes under the rug. The reality is, they got us this far and created this mess along with Leggett. Now the only way out - unless you believe that the County's review of 200 properties countywide somehow missed a "dream bus depot site" - is to either face the wrath of voters by placing these depots over their objections, or to risk the legal consequences of forcing the County to back out of the Shady Grove deal by refusing to approve the Declaration of No Further Need for the existing depot. This will be entertaining political theater, indeed.